As Boston.com reports, there has been a 43 percent decline in the number of children who lose their lives to traffic crashes annually. The decline occurred from 2002 to 2011, and children were defined as kids age 12 and under. In 2011, there were a total of 21,000 motor vehicle deaths, only 650 of which were kids. Preliminary figures for 2012 also showed that the downward trend is continuing, with just 637 fatalities. Health officials credit the increased use of car seats and booster seats as the cause of the decline. The increased use of car accidents is reportedly driven by more states passing laws requiring booster seats and car seats, and by more states running programs that promote kids buckling up. The reality, however, is that the data did not answer the question of why fewer children have been dying in collisions and other data calls into question whether state laws have made an impact. For example, around 1/3 of kids aged 12 and under who lost their lives in accidents in 2011 were not buckled up even though the law universally says they need to be. Further, almost half of all black and Hispanic children killed in crashes in 2009 and 2010 were not in a safety seat or were not wearing a seat belt. With so many kids not buckled or in car seats, there are clearly many parents choosing not to follow state laws. These laws can only go so far in making an impact to keep kids safe, and individual parents need to make smart choices in the car. The overall crash rate has also declined over the past decade, so the reduction in child traffic deaths may not specifically be due to new government regulations but instead may be a simple reflection of the fact that fewer people are dying overall in collisions. Fewer overall deaths naturally translates to fewer child deaths. This reduction in overall fatalities has been driven, in large part, by advances in safety features and by advocacy groups like Mothers Against Drunk Driving, which have reduced the rate of intoxicated motorists on the road. States, therefore, shouldn’t assume that simply passing laws on car seat use is enough to protect kids. 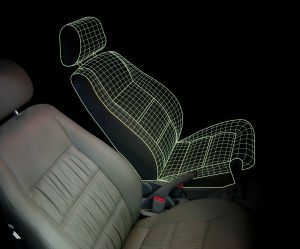 With 3.8 million child car seats recently recalled in early 2014 and with more than 36,000 child restraints recalled in 2013, states may need to do more to ensure that the car seats that parents are using actually provide the desired protection. The high cost of car seats can also preclude some families from being able to protect their kids. A law requiring a car seat doesn’t help these families to afford it, and states should consider finding ways to assist lower income families in getting a reliable and effective child safety seat.